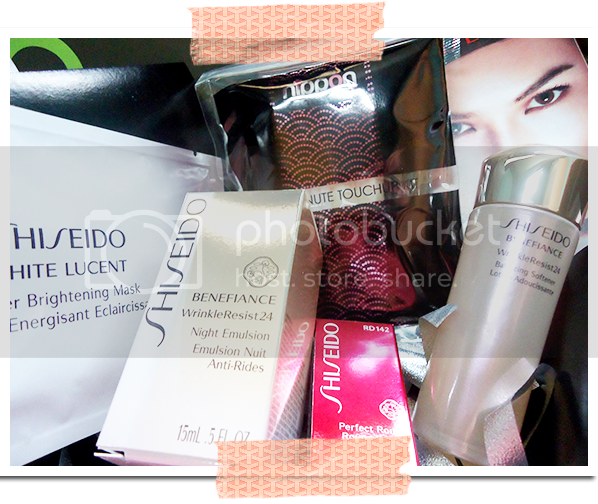 February BDJ Box Unboxed: Shiseido! If you haven't seen any post about it, here are some photos of MY box, a box I squealed at when Dar gave me because I'm a crazy cat like that. 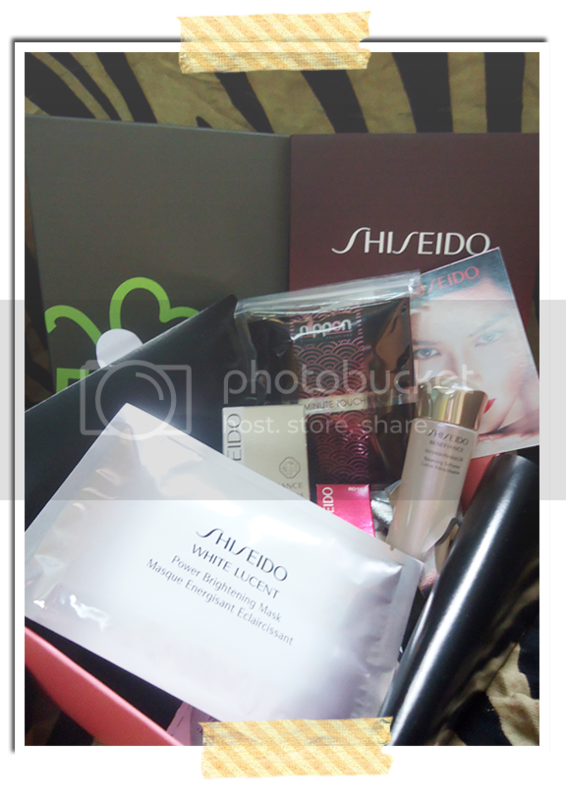 Plus, lately, I've been liking Shiseido after getting to try their eyebrow liners, facial wash and toners. 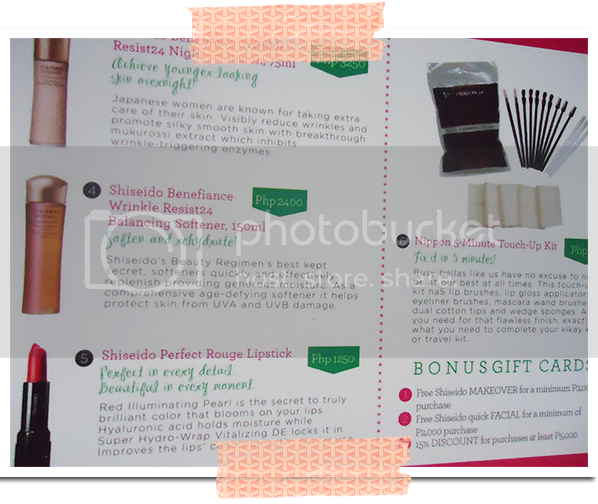 Shiseido White Lucent mask and serum, a lipstick, softener and wrinkle cream. Is it just me or isn't Shiseido's packaging absolutely elegant? 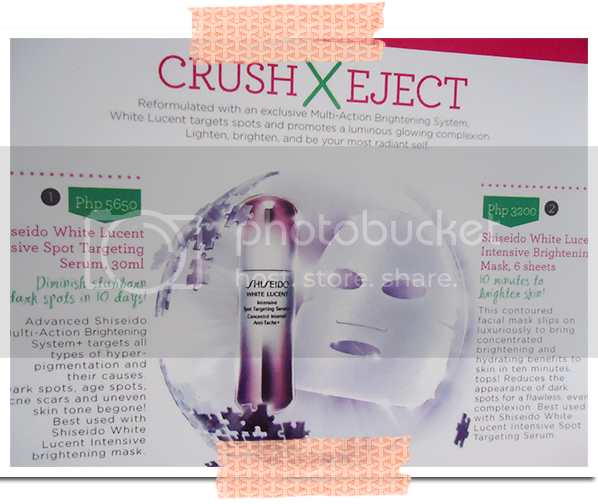 ... which reminds me, I am the official reviewer for BDJ Box and White Lucent! Did you know the BDJ girls lovingly cut each confetti by hand? 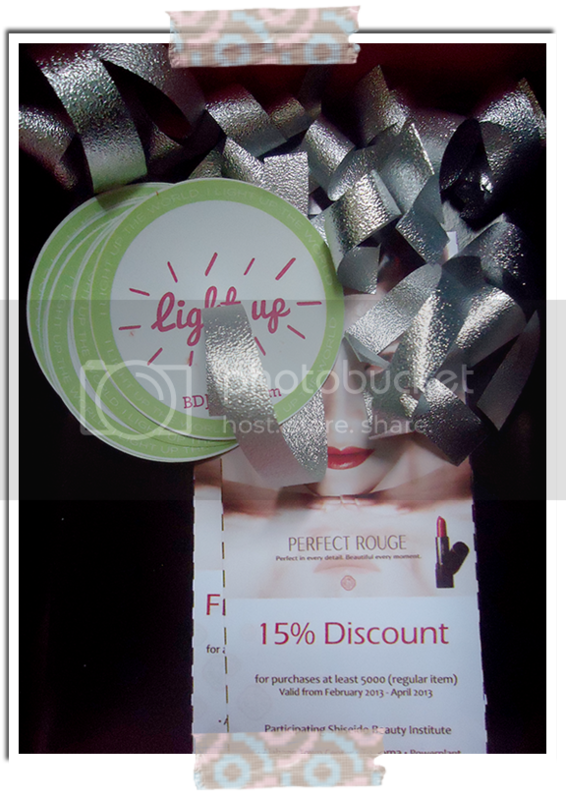 As for me, I'm truly very excited to use up my samples --- if only I'll figure out how to use them. Top of mind comment on the brand, while it does the job, it's usually tough to figure out because it uses different words, yeah?